Zinfandel is one of the most popular grapes in Californian wines. Knows as Primitivo in Italy, the grape was introduced to the state in the 19th century. It was also one of the types that I have known the longest, since when I used to live in the Bay Area and worked as a restaurant server. Back then, white zinfandel is everyone’s beginner wine in Cali. 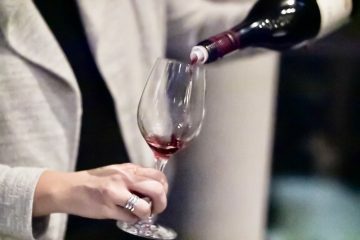 And for red zinfandel, although it’s a light-bodied red like pinot noir, its moderate tannin and high acidity making it much bolder and such a versatile wine to drink at all occasions. 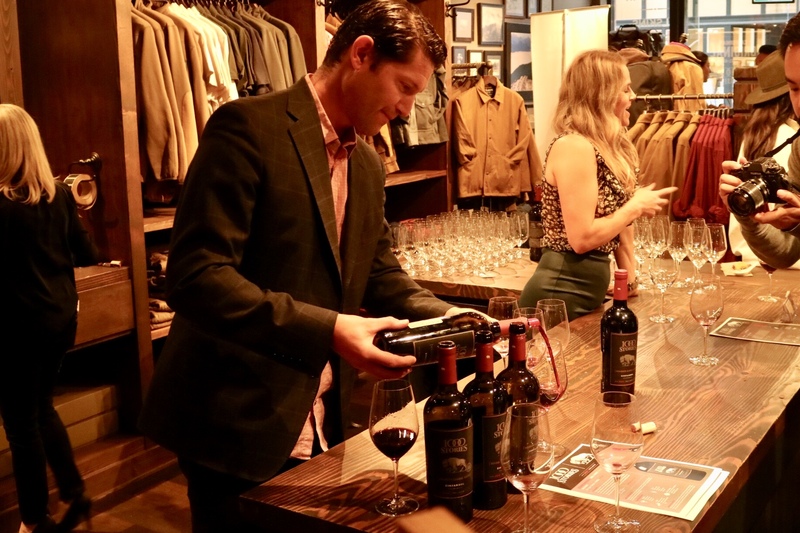 Recently I tasted some very nice zinfandel at VIWF’s “California Crush” and my recent visit to Cline Cellars in Sonoma, then I discovered a very unique one at its launch party. 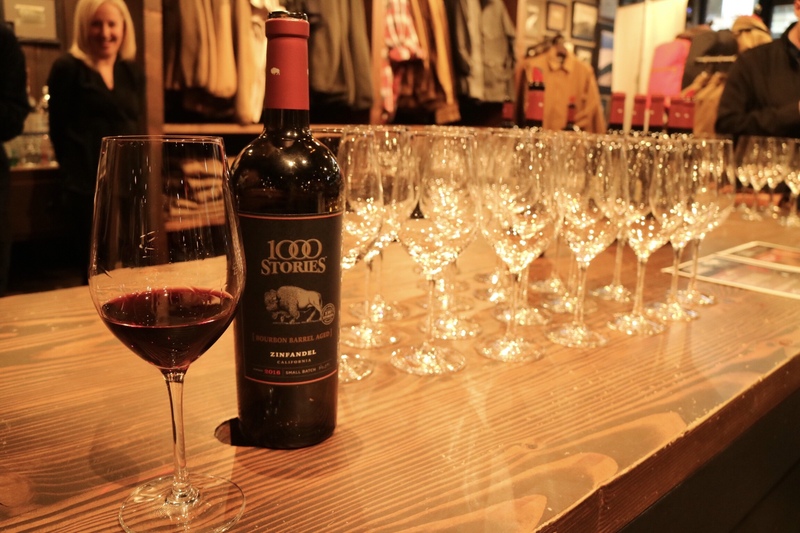 1000 Stories Wines has introduced their 2016 Bourbon Barrel Aged Zinfandel to Canadians. 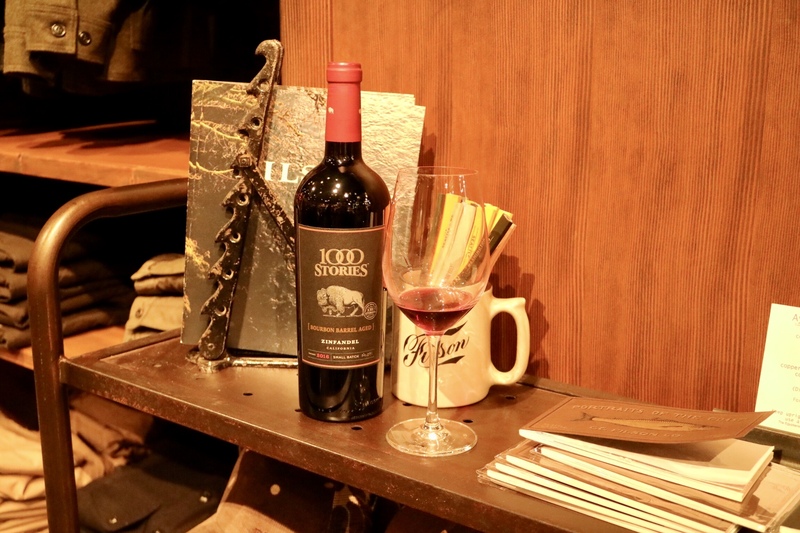 1000 Stories is a small-lot winery from California utilizing Zinfandel as it’s one of the most flourishing grapes on Californian soil. The winemaker, Bob Blue knows a balanced wine can only come from a restrained approach to these intensely flavored barrels. He begins the aging process in traditional French and American oak wine barrels before transitioning lots to the bourbon barrels. This unique approach has brought interesting characters and elegantly bold flavors to the wine. 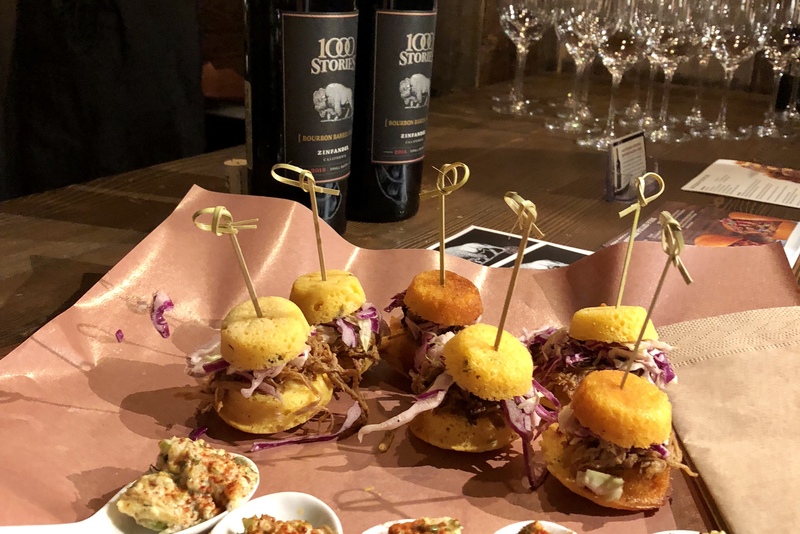 The tasting took place at Filson in Gastown, and to pair with the bourbon barrel aged red wine, Peckinpar has brought in their BBQ pulled pork sandwich on corn bread. The blend of ruggedness and elegance was the perfect setting for try out this remarkable red. The wine exhibits a deep, rich purple colour. Intense red fruits are on the nose, with a hint of black pepper. The palate is full with ripe tannins, flavours of raspberry and cranberry, followed by a small tickling sensation of black peppercorn. 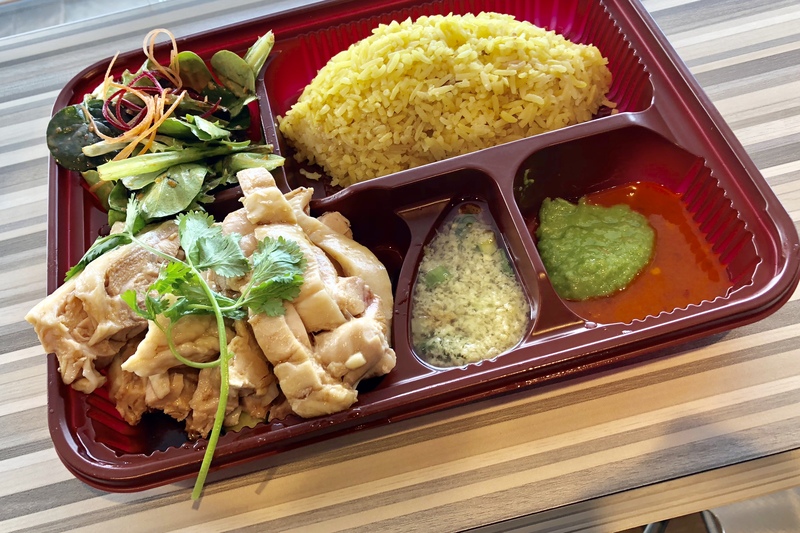 It finishes with a touch of warmth that lingers. 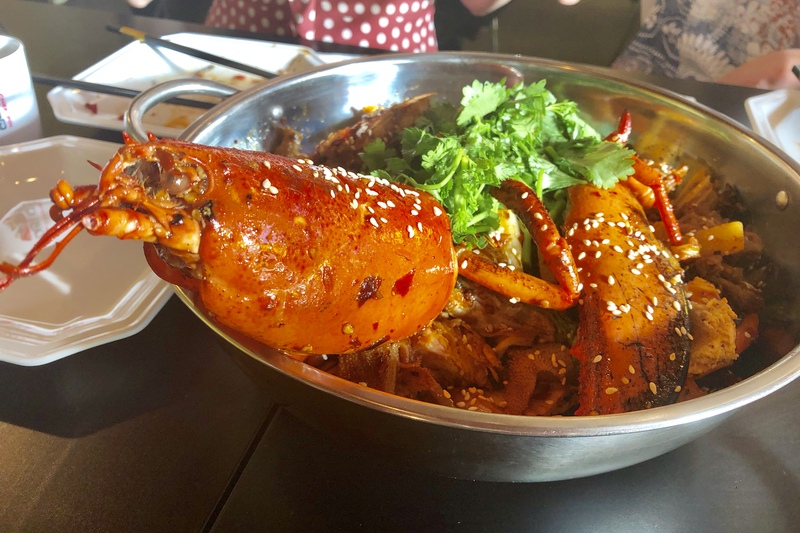 It might be a little too bold for me to enjoy it as a conversation wine, but It would be a perfect one to pair with grilled meats and BBQ dishes, matching the smoky flavours. 2016 1000 Stories Bourbon Barrel Aged Zinfandel is now on sale at $24.99 at BC liquor store (Reg: $29.99)! The winery supports the Wildlife Conservation Society in an effort to restore natural habitats for the bison population. With each purchase, you are supporting programs to reintroduce bison into sustainable healthy environments where they may thrive and contribute to the different ecosystems. Bison, bourbon, and Zinfandel, this completes an image of the American heritage. 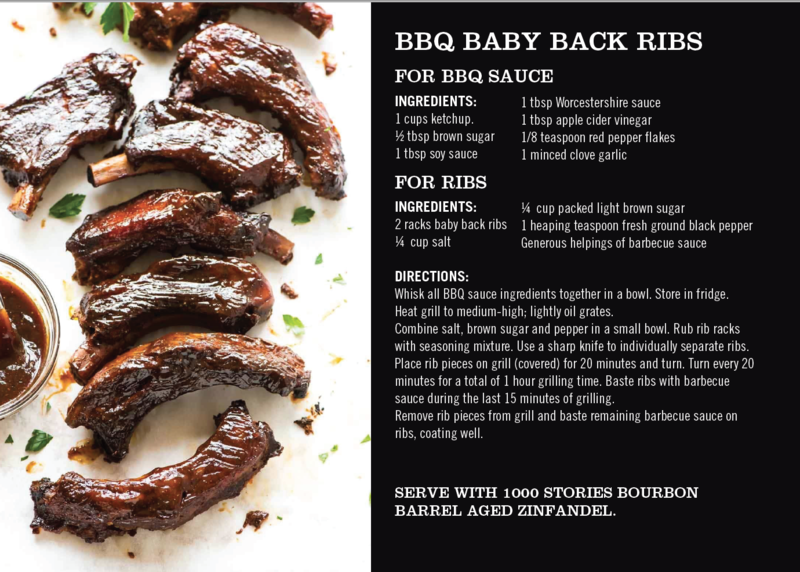 Here are the 3 amazing recipes for a BBQ that goes well with the wine.